An e-book bargain (Mansell) – Joyce's mystery and fiction book reviews with some non-fiction too! I am currently reading and enjoying this author’s Meet Me in Beachcomber Bay which I will blog on later. But for today, this book by the author is an e-book bargain. 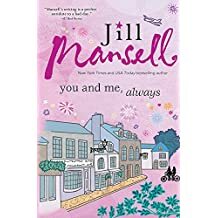 Jill Mansell’s books are always good reads that are women’s fiction with a bit of depth. If you would like a book that is perfect for relaxing with, try this one!